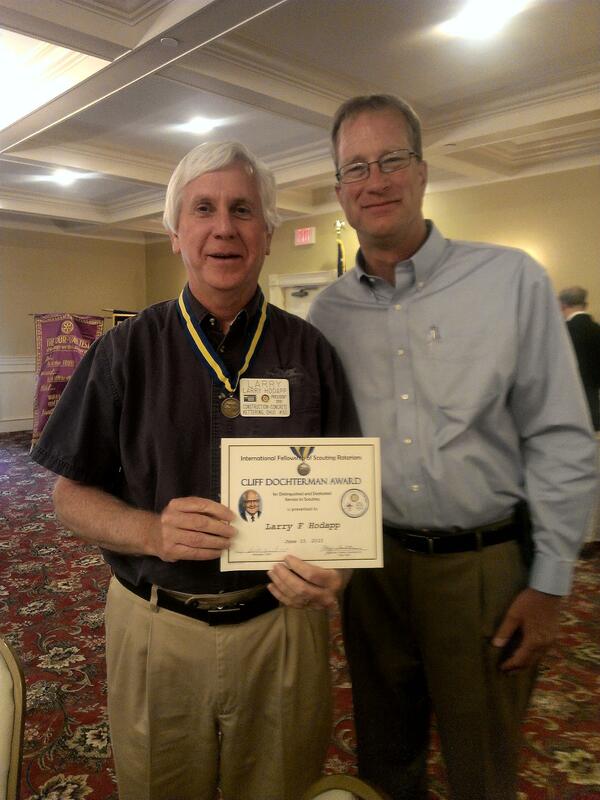 Our own Larry Hodapp received the Cliff Dochterman Rotary Scouting Service Award today. Well deserved. Congratulations to Larry for his dedication to the Boy Scouts and to Rotary!